It’s December now. Snow, in some places, is falling. Soon, holiday lights will be flickering and thoughts of what the new year will bring will occupy us. And we know what that means. That’s right. 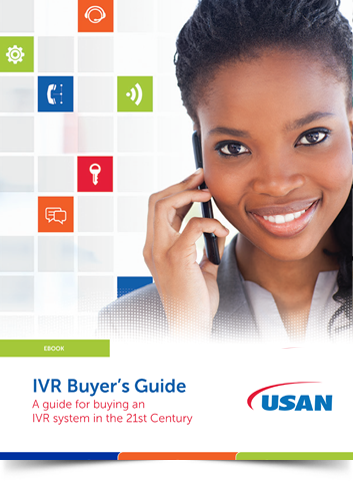 It will be time to read all the articles about IVR and contact center and customer service trends for 2017. I’ll make a prediction about those predictions. Almost all of them will be just about the same as 2015. And 2010. And earlier. The reason is that trends are not about new technology; they’re about the pace of customers adopting the technology that’s available. We vendors continue to improve the systems, day in and out, for sure, but the next big thing is always about customers, not code. I’ll share my own experience quickly not as proof but as at least anecdotal evidence. We and our first-tier competitors have been providing the capability for the IVR to remember and present the last action the customer took for a long time now. You last contacted us four days ago to make a payment. Are you following up on that? How often do you encounter something like that—some advanced functionality that provides that level of quality, automated service? Maybe never, or maybe once in a blue moon? I don’t run into it too often when I call into the companies I use. In fact, and this is what got me onto this topic, I called my cable company the other day and I got that prompt from their IVR for the first time—and I’ve been with that company for more than a decade. Metaphor IVR+ has been providing that for years. Also personalization. And omnichannel integration. And on and on and on. What we’re seeing today is different. What we’re starting to see is the race to adoption. You’re beginning to listen more to your customers who tell you what they want their digital, automated experience to be like. And, increasingly, you’re responding by adding those functionalities to your call center systems. And that is what the biggest trend—in IVRs, in call centers, in customer service in general—is going to be. It’s not technology. It’s that—after years of bloggers and analysts talking about customer-defined experiences, about customer-defined product, about the “voice of the customer”—you’re finally taking it seriously. And what you’re finding is—the technology has been there all along, waiting for you to be ready for it. The customer wants omnichannel—the technology’s been there all along. The customer wants personalization—been there all along. The customer wants an experience that’s relevant to them and their account—been there all along. The customer wants to resolve problems and purchase product without talking to another person—ready there too. And that’s the big trend I see. Not just this year, but over the next two or three or five years. When we look back, we’re going to say that 2017 was the year we really started listening to our customers.